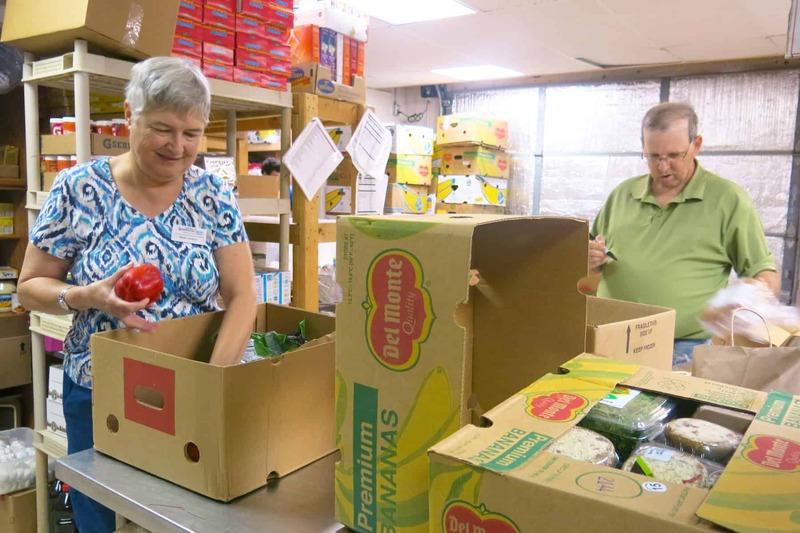 Kendra Jemott and Richard Beatrice donate their services to Interfaith Charities’ Food Pantry as volunteers for RSVP, a national program coordinated by the Friendship Centers for all of Lee County. The Friendship Centers is the local sponsor in Lee County for the national Retired and Senior Volunteer Program (RSVP). RSVP was created by Congress in 1971 to encourage individuals 55 years of age and older to put their skills and life experience to work for their communities through volunteerism. RSVP is one of the components of the National Senior Service Corps and a proud part of the USA Freedom Corps, the President’s Call to Service. Our office offers “one stop shopping” for volunteers 55+ interested in assisting non-profit, community and governmental agencies in improving Lee County. Opportunities focus on important issues such as seniors living independently, food and hunger. We refer to 16 partnering agencies as well as our own Friendship at Home (friendly visitor) program and RELIEF, a respite service for caregivers. For details about volunteering in Lee County, call 239.236.8682. All RSVP volunteers are covered by supplemental accident and liability insurance while participating in volunteer activities. This coverage is secondary/supplemental and is provided at no cost to the volunteer.